Main Street Toccoa will welcome jazzman extraordinaire, Milkshake Mayfield, to the Historic Ritz Theatre this week in downtown Toccoa. According to Ritz Theatre General Manager Danita Gaudette, the performance will start at 7 p.m. on Thursday night. She adds Milkshake Mayfield’s performances in the past have been well attended and thoroughly enjoyed, and tomorrow’s performance will be nothing less than extraordinary. Milkshake Mayfield calls Toccoa, Georgia his hometown, but he’s circled the world, gracing national and international stages with some of the greatest ‘who’s who’ among contemporary jazz giants, such as Ellington, Gillespie, Calloway, Marsalis, and the like. Backed up by the smooth sounds of the Milkshake Quintet, he’s also active in mentoring youth and young musicians. Milkshake Mayfield’s performance is part of Main Street Toccoa’s “Night at the Ritz,” series of events held at the Historic Ritz Theatre. The series is funded, in part, by a generous grant received from the National Endowment for the Arts and the Georgia Council for the Arts, allowing tickets to be reasonably priced. 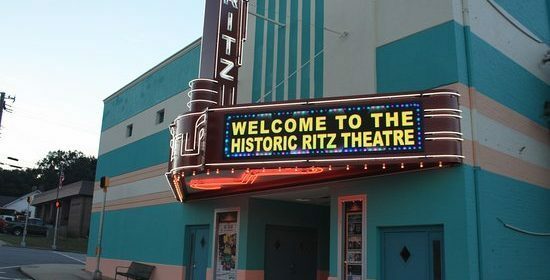 Tickets for all shows may be purchased online at www.ritztheatretoccoa.com, or at the Toccoa Welcome Center. Adult tickets are $10, children under 12 and students with an ID are $5. For additional information regarding Thursday’s performance or the Night at the Ritz series, contact Gaudette at [email protected] or by phone by calling 706-244-0039.